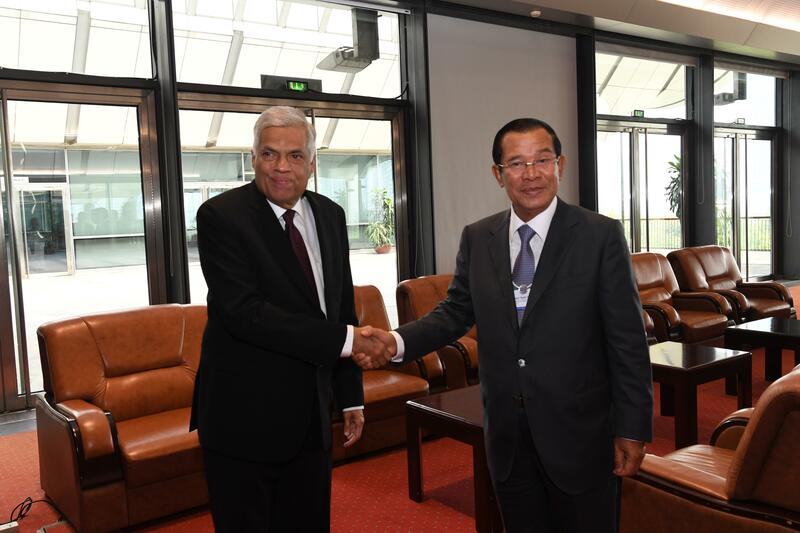 Ha Noi, Vietnam (FN), Sept. 13 - Cambodian Prime Minister Hun Sen asked Sri Lanka to promote tourism relations and other regional and international, bilateral and multilateral relations, speaking to Sri Lanka's Prime Minister Ranil Wickremesighe during the World Economic Forum on ASEAN, held from 11 to 13 September 2018 under the theme of "ASEAN 4.0: Entrepreneurship and the Fourth Industrial Revolution". 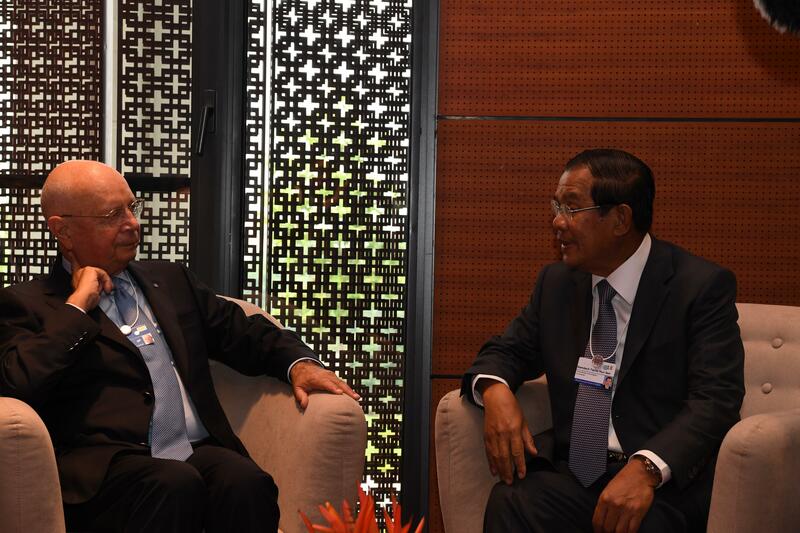 During the discussion, Prime Minister Hun Sen said that he had visited Sri Lanka in 1979 as Foreign Minister, and that the two countries had the same difficult situation. 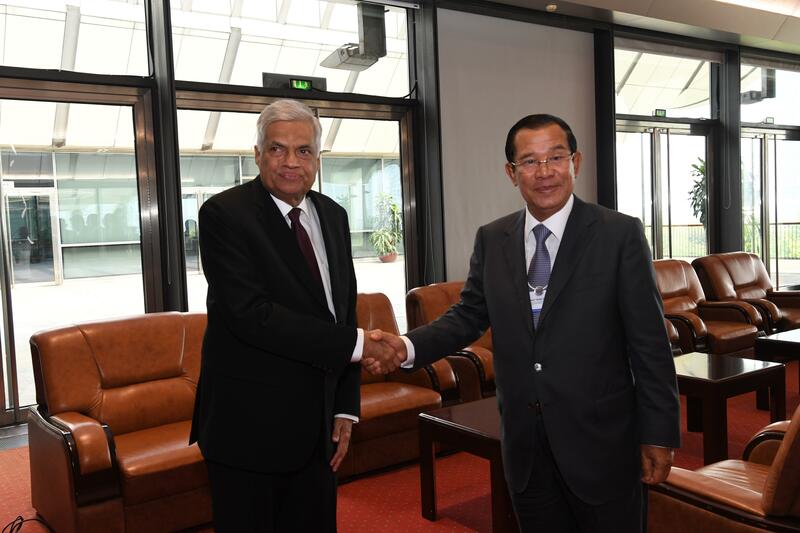 The premier said he will make official visit to Sri Lanka in the near future in response to the invitation of the Prime Minister. 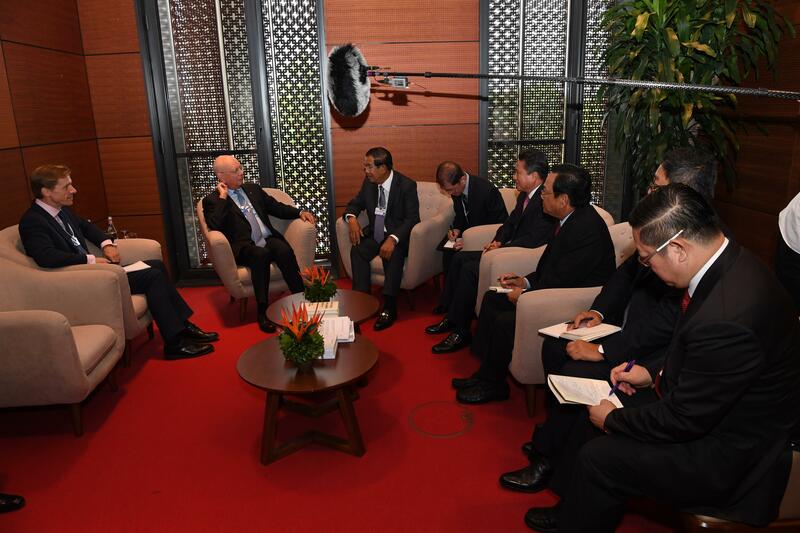 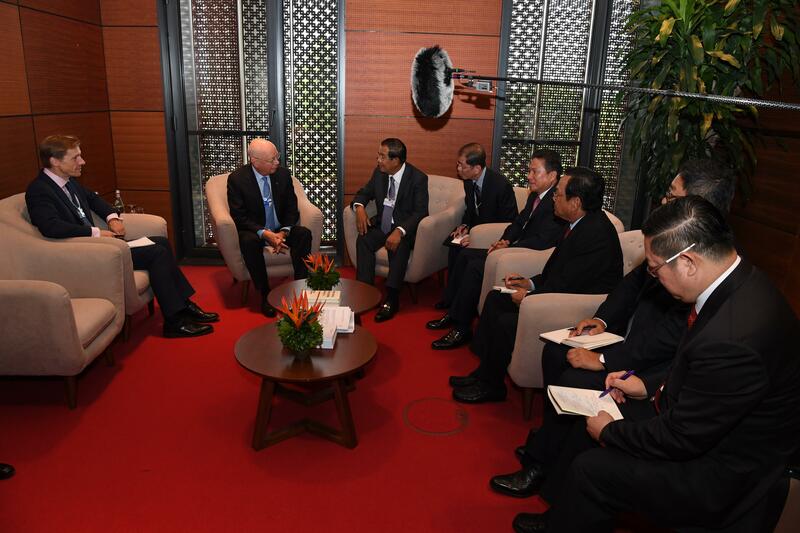 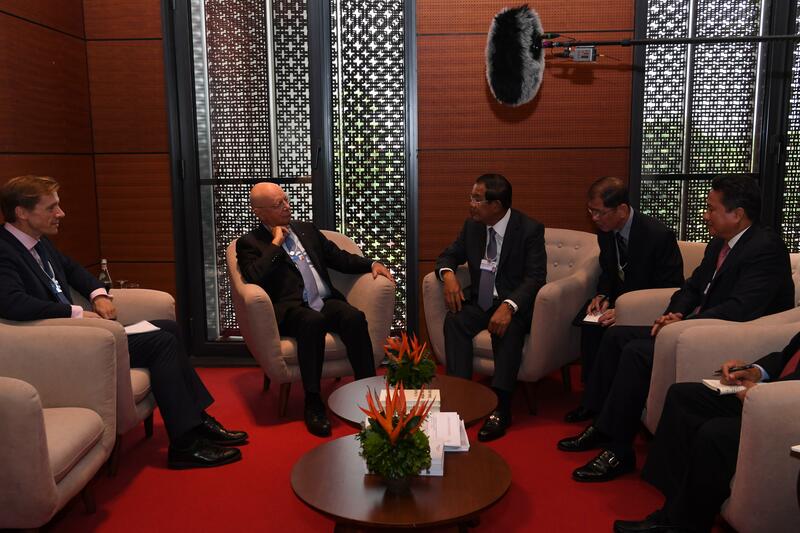 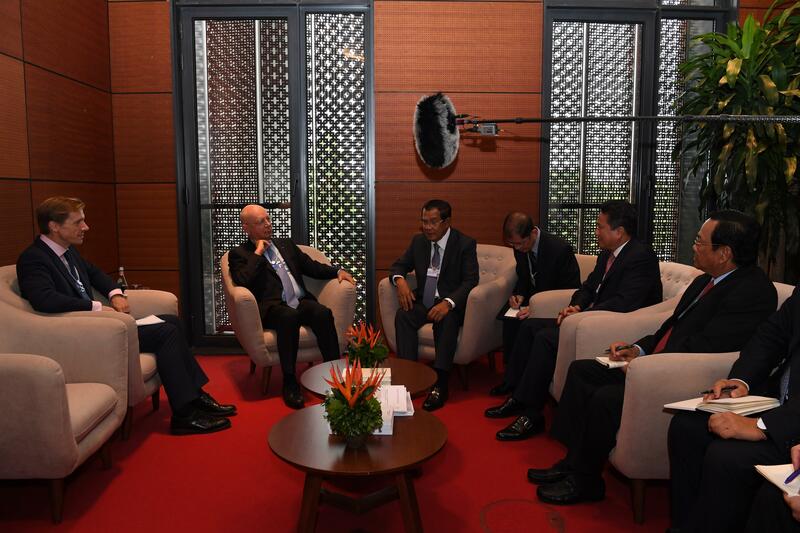 Prime Minister Hun Sen met Klaus Schwab, Founder and Executive Chairman of World Economic Forum, and expressed his pleasure at the forum, which allowed leaders to exchange perspectives fruitfully. 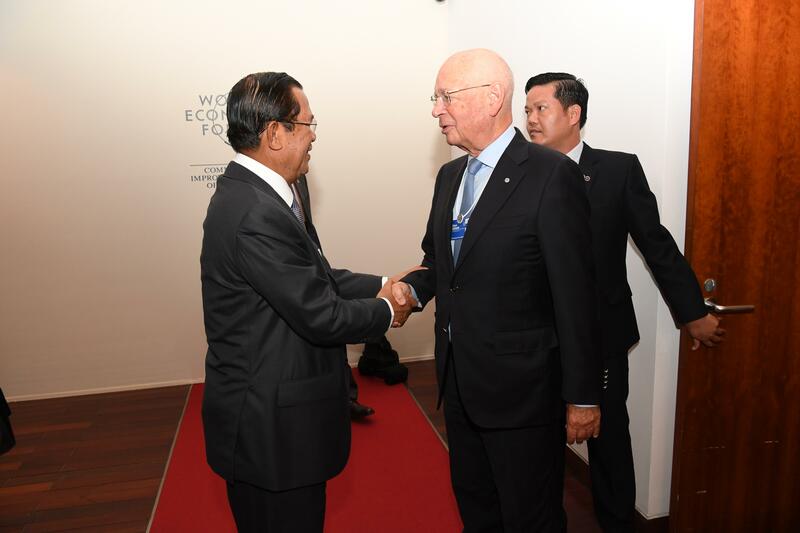 Klaus invited the premier to participate the Forum in Davos, Switzerland, concerning the field of agriculture, which is Cambodian potential sector.